Hillcrest Garage, Argyle Street, Accrington, BB5 1DJ. We endeavour to offer our customers a versatile array of vehicles in order to accommodate their needs and requirements. With carrying capacities from 1 to 14 standard sized pallets and additional features such as high security box, curtain sided, side doors and tail lift facilities there is great scope and depth. 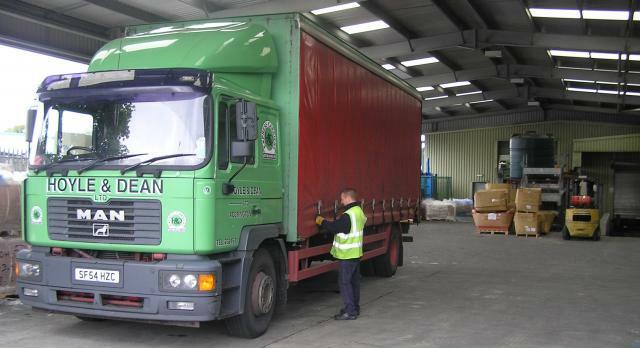 All of our fleet are maintained at our on-site workshop facilities to keep our haulage operations reliable and efficient with minimal downtime. We also provide on site washing facilities to keep our vehicles and liveries clean to upkeep the smart professional image on the road.